Ok. Listen carefully. If you have not been to Barefoot Tess lately (or ever) you are doing a disservice to your shoe collection. They have A - MAZ - ING shoes in sizes 9 to 15. For example, the new Gwyneth Urbana wedge (pictured top left). Are you kidding me? Simply sick! Honestly, you could wear these with anything. No offense to your clothes but nobody will be noticing what you have on because they won’t be able to take their eyes off of your foot art. I was feeling wedgy so I selected some of their wedge beauties but BFT has every shoe you could ever think of in extended sizes that won’t produce foot cleavage (if you don’t know what that is put on a shoe that it too small for you and you will get it). 3…2…1…click! Your feet will thank you. BAREFOOT TESS. Amazing shoes sizes 9 to 15. Selected styles left to right: Gwyneth 'Urbana' wedge (top left), 80%20 'Feather' Wedge (bottom left), BFT by BaefootTess 'Milan' Wedge (center), Ciao Bella 'Aruba' sandal (top right) and 80%20 'Flora' Bootie (bottom right). GWYNETH 'URBANA' WEDGE at BarefootTess.com. $169. Sizes 11-14. Comes in grey and brown. 80%20 'FEATHER' WEDGE at BarefootTess.com. $159. Sizes 10-15. Comes in Maize Stirpe and Black. B.F.T. BY BAREFOOT TESS 'MILAN' WEDGE at BarefootTess.com. $79. Sizes 11 to 15. Comes in Olive, blue and Tan. CIAO BELLA 'ARUBA' SANDAL at BarefootTess.com. $59. HURRY! Limited sizes available. Comes in camel and black. 80%20 'FLORA' BOOTIE at BarefootTess.com. $119. Sizes 10-15. Comes in khaki and black. Designer Shoe Warehouse has oodles and oodles of shoes up to size 12. From platforms to sandals that have hundreds of beautiful shoes at beautiful prices. Click the pic to find your designer pair now. DESIGNER SHOES UP TO SIZE 12 at DSW.com. Hundreds of shoes to choose from. Great styles at great prices. Natural tones are the key to successful summer fashion. What better way to rock the natural look then fabulous footwear. Nine West has endless natural styles at great prices with sizes up to 12. They are beautiful, simple TallSWAG that will not go unnoticed. Show off your natural beauty. Click the pic now. NATURAL SHOES at Ninewest.com. Sizes up to size 12. Free shipping on purchases of $75 or more. $5 flat rate shipping on orders of $75 or less. HSN, the Home Shopping Network, has shoes up to a size 12! From pumps to gladiators, they have a wide variety of shoes to choose from. Click the pic to visit the home of some sweet shoes now. SHOES UP TO SIZE 12 at HSN.com. Various styles and price points. Narrow down by size, 2/3 of the way down on the left side of the women's shoes home page. LIBBY EDELMAN LEATHER HUARACHIE MULE at HSN.com. $79. Sizes 7.5 to 12. Shown in Cumin. Also comes in black and brown. Cumin almost sold out. NATURALIZER TIPTON at HSN.com. $58.95. Sizes 5 to 12. 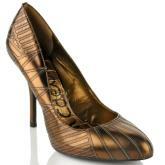 Widths 2A, M and W. SAM EDELMAN "TESSA" LEATHER LASER-CUT PUMP at HSN.com. $139 or 2 payments of 69.50. Sizes 6 to 12. Shown in bronze. Also comes in pewter. Both are almost sold out. Nine West has every summer sandal you can think of in sizes 5 to 12. 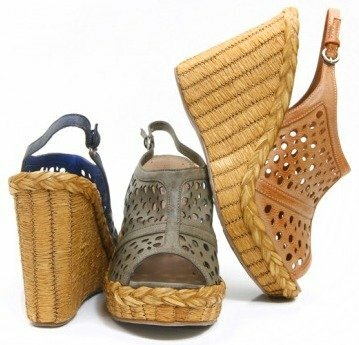 From flat to platform to wedge, they have all your summer sandal needs covered. Prices range from $29 to $179.99. Click the pics to pick a brand new pair of summer sandals now. CLICK FOR THE SANDAL COLLECTION at Ninewest.com. Over 190 styles to choose from. Sizes 5 to 12. For a limited time get free shipping on purchases of $75 or more. $5 flat rate shipping on all other purchases. Up to 50% off select styles. HELM from Ninewest.com. $69. Take 50% off at checkout. Sizes 5 to 12. Shown in light gold leather. Also comes in black/light natural patent, red/light natural patent and white/light natural patent. MARIA at Ninewest.com. $89. Sizes 5 to 12. 4.5 heel with 1/2" platform. Shown in medium natural suede. Also comes in dark blue and black suede. Ships 7/6. RHOSOLYN at Ninewest.com. $49. 30% discount at checkout. Sizes 5 to 12. Shown in white leather. Also comes in black leather, light gold multi and natural black/dark brown pony.